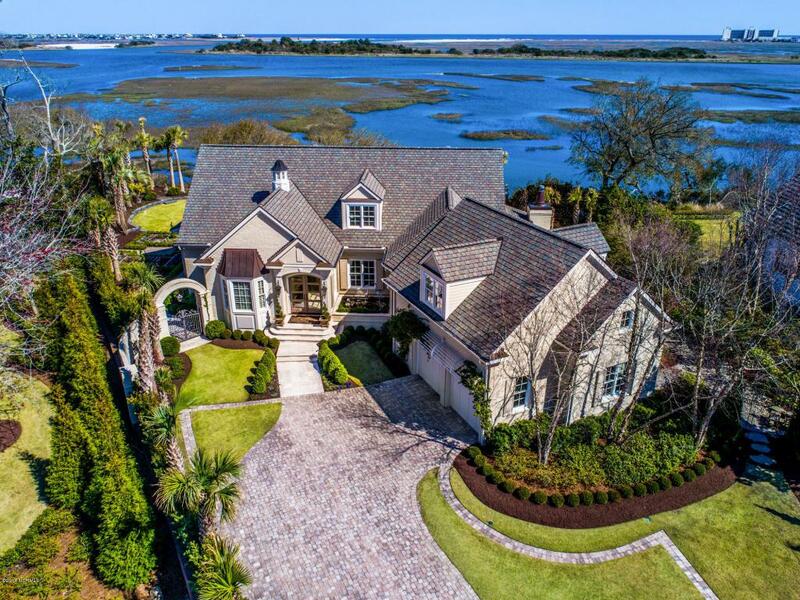 Introducing 2352 Ocean Point Drive, a residence spectacular in both appointments and location, offering quite possibly the finest views in Landfall. The transitional architecture of the home perfectly blends elegance and luxury in a relaxed coastal style. Situated on a high bluff overlooking the Intracoastal Waterway, the property offers direct views of the breakers of Mason Inlet and the Atlantic Ocean. 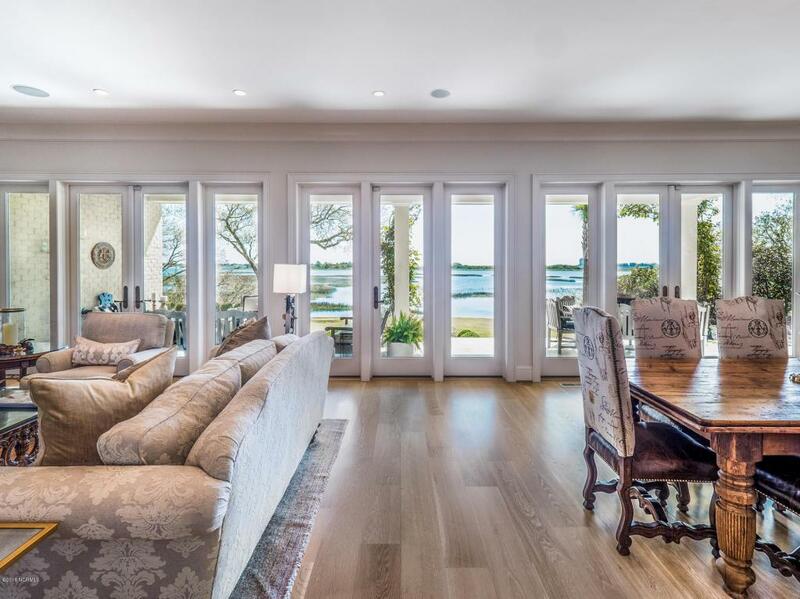 The interior features a contemporary and open floorplan with gleaming wide plank oak floors, and a wall of windows that bring miles of blue water views into the bright living spaces. The kitchen is a chef's dream with a La Cornue range as its centerpiece, and is perfectly complimented by custom cabinetry, built in Sub Zero appliances and beautiful leathered granite surfaces.Tucked out of view directly behind the open kitchen is the catering kitchen ideal for food service during parties, entertaining and holiday events. The main level master wing offers magnificent ocean views along with luxurious master bath that includes Italian marble vanities, expansive his and her closets, and sauna. The second floor features 3 additional oceanfront bedrooms with spectacular views and all with en-suite baths. This level includes an additional full guest suite complete with kitchenette, and is perfectly suited for visiting friends and family. Exterior features include lush landscaping, fire pit and sitting area, and large waterfront deck overlooking the Intracoastal Waterway and Atlantic Ocean. Listing provided courtesy of Nick Phillips of Landmark Sotheby's International Realty.